Funsho Akinola, Popularly known as FunkyBoi, has been on top of his game ever since he released his Recent single ‘ BlessTheBoy ‘ and for sure his name is getting no more anonymous in the music scene. 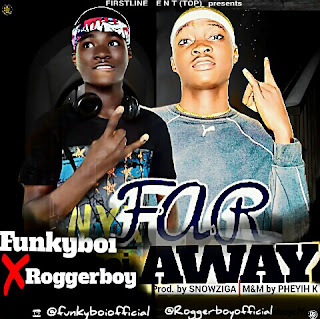 The talented act who dropped his most recent wavy track ‘BlessTheBoy‘ To the world, is here with a new single titled “FAR AWAY" With One Of The Wave Making Act In Ibadan City , Olagunju Olalekan Micheal well known as "Roggeboy ". Watch out for The Jam movement as it is here to storm the music industry with fantastic contents to make Wave All Around.